The digital world is oversaturated with advertising. Everyday we see around 3 thousands of different ads and offers but remember only 5-7 of them. Marketers are competing for the attention of their target audience. Some of the advertising slogans really stick in your memory, yet the majority of them anyway remain unnoticed. Banner blindness is a phenomenon that became popular at the beginning of the 21st century. It relies on the idea that the human brain subconsciously ignores ad-related messages. First of all, those that we see on our computers and smartphones. Yet if you are a marketer or a brand manager, you perfectly know that important information must be gotten across the target audience. This is one of the most pressing questions. Moreover, if you are an experienced marketer, you understand that advertising shouldn’t be intrusive. Also, it must be targeted. 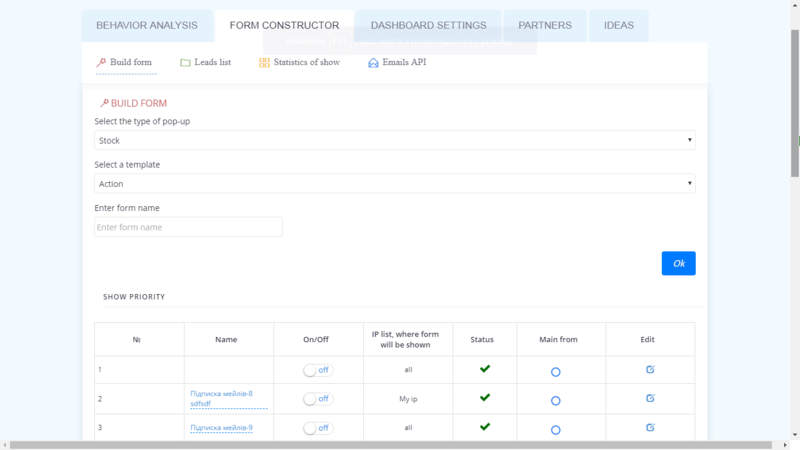 The Smart Form Builder is one of the available solutions to this challenge. The Smart Form Builder – is a tool that can help you to display special banners or subscription forms on your website. They are shown under certain conditions. This way, users only see information when they complete the required actions. This approach allows to filter out the audience that isn’t ready to make a purchase or other target actions on your website. Work as lead magnets. These forms collect information. Usually, lead magnets are used to create a newsletter database. Users exchange their contact info for some useful content (books, articles, links to videos, etc). Time. A banner can appear after some time (for example, when a user spends 1 minute on a website or its specific page). Action. A banner is displayed when a user tries to close the website or completes several other consecutive actions (for example, opens a certain page showing one’s interest in the chosen topic). Scroll depth A banner is only shown when a user reaches a certain part of the page. Device type. Depending on a device type popular within your target audience, you can display banners only to desktop users or visitors who open your website on smartphones. Who will find the Smart Form Builder useful? The use of the Smart Form Builder is not limited to certain fields and types of websites. Smart forms allow you to solve a range of tasks in many areas. 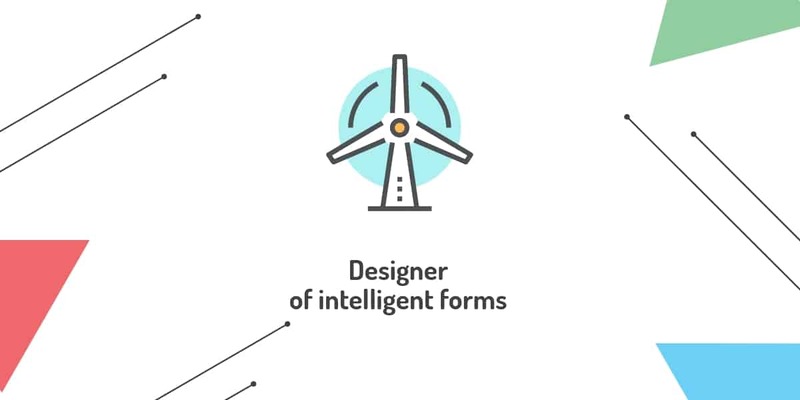 Yet there are 6 primary fields where the Smart Form Builder has already proved its efficiency. Using Plerdy Smart Form Builder, an owner or a marketer of an online store can display promotional or information banners. You don’t need a separate script for that – it is installed simultaneously for all Plerdy tools. The key advantage of Plerdy forms is their flexible customization. 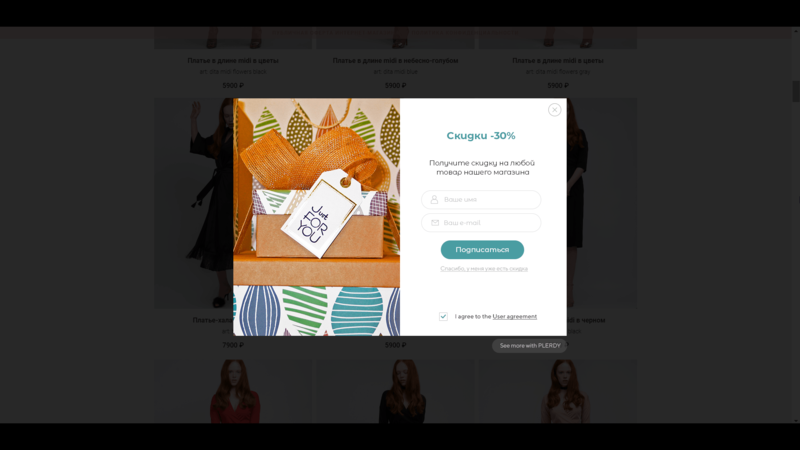 For example, you can set a discount offer for a certain segment of a target audience based on the category of your online store they open the most often. Moreover, if they visit your website on smartphones, you can choose to display ads only for mobile users. After users click on a banner, they are taken to the page you have previously chosen. All conversion statistics (and a close rate) are collected in your personal Plerdy dashboard. Many websites use personal blogs for promotion and some of them organize additional special events (webinars, seminars, etc). In this respect, Plerdy Smart Form Builder can help to form a newsletter base or member lists. After setting the conditions under which a banner is displayed, you can track the collection of leads in your Plerdy dashboard. The tool is very convenient because in addition to ready-made templates you can individually create forms with your list of fields. You don’t have to be a designer or have programming skills. Just install the script of Plerdy and get access to the smart form builder and click heatmaps. 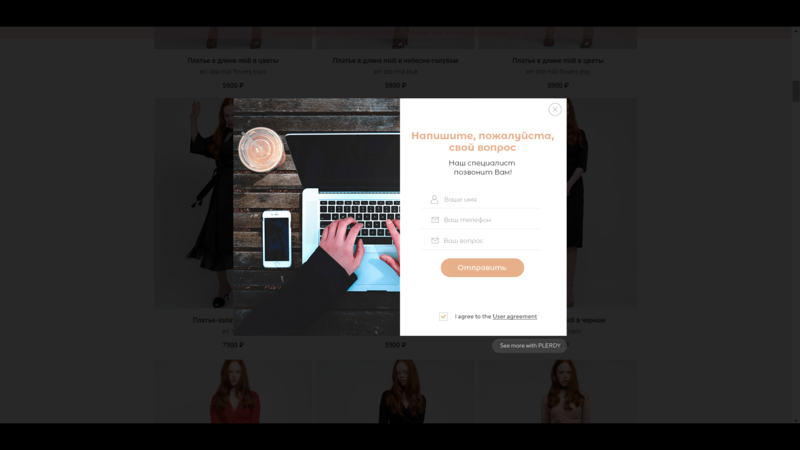 One-page websites have their advantages for product and service promotion, so today there is a bunch of high-quality tools to create such landing pages. Nevertheless, not all tools allow you to add additional pop-ups to inform visitors. This can come in handy when website owners want to offer their visitors to subscribe for updates or call them back. You can easily solve these tasks if you have Plerdy installed on your page. In particular, you can individually set when and where to display a dynamic banner. Every year the web witnesses new online services and SaaS solutions. Some of them are B2B, some – B2C, yet in both cases, the end user is a person who lands on a website. An extensive system of dynamic banners on the websites of services and SaaS solutions proves to be really effective. Not only can you inform users about new releases or current offers, but you can also conduct short surveys. The key advantage is that each form is customizable and takes into account any conditions: the time spent on a website, a type of pages or categories, a device, etc. At the same time, a project marketer or a content manager can customize the look and display of a banner without the help from designers or programmers. The script of Plerdy is really fast to install and it starts working right after the installation. Marketers and PR managers of information resources (news portals, blogs, etc.) can use dynamic banners to announce some events or attract users’ attention to a certain section or page on a web resource. So the Smart Form Builder allows you to both increase the conversion rate within a website and reduce the number of bounces (when a page is closed with no interaction). In your personal dashboard, you can customize banners based on timing, scroll depth, and other parameters. For example, when visitors end reading an article, they can see an offer with another publication or a suggestion to get similar content to their emails. In case of CMSs, a system of banner updates can help developers to inform users of an admin panel. They can display messages about the next release, changes in the work of a CMS, or technical notifications about the admin panel. Regardless of the final intent, the developers just need to install the script on a website, choose one or several ready-made templates, and customize their display. The Smart Form Builder will do everything else automatically. The Smart Form Builder opens up new opportunities for business owners, Internet marketers, and SEO specialists. First of all, these opportunities are connected with an increase in conversion rates. The right design, call to action, location, and display of a banner can get more clicks for your notifications. This way, you will be able to tell the interested part of your target audience what they need to know.